Every age remains in the memory of future generations. But every age has its own internal logic, its own structure of feeling. 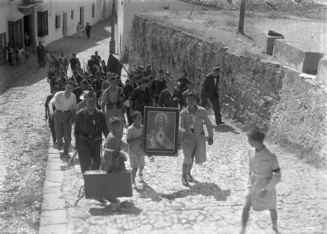 The military coup against the Republic began on 17 July 1936 among elements of the colonial army based in Spanish North Africa (Morocco). A day later the rebellion spread to mainland Spain in the form of provincial garrison revolts. It was both a failure and a success; it failed to take over the whole of the country at a stroke, as had been the rebels' intention, but it did succeed in paralysing the Republican regime, and, crucially, deprived it of the means of organizing rapid, effective resistance. The rebellion shattered the command structure of the army, leaving the Madrid government without troops and unsure of which officers it could trust. The simultaneous collapse of the police compounded these already grave problems, creating a vacuum of authority in most Republican-held areas that had no parallel in the rebel zone, where the military took control from the outset. In spite of regime collapse, however, loyal elements in the police joined forces with the worker militia, formed by trade unions and political parties of the Left to meet the emergency; together they were able to quell the garrison revolts in most of urban industrial Spain. ■g mediating a new form of mass conservative mobilization. c s.
a The initial division of Spanish territory between Republic and rebels (see Figure 1) reflected the political geography of the country. The rebellion generally tended to fail in areas where there was significant support for Republican reforms and/or a progressive political agenda more broadly. So urban centres with their high concentration of workers in organized labour movements were mainly held by the Republic - although some exceptions obtained, most notably Seville in the southwest, where General Queipo de Llano unleashed the bulk of his garrison, some 5,800 troops, against the city's labour movement. Elsewhere in the countryside of the deep south, the presence of thousands of landless peasants was initially a factor inhibiting the success of the coup, while on the northeast seaboard, Catalonia and the Valencian region, with their confederal past and strong anti-centralist sentiment, would remain Republican throughout the war. example, people in villages and small towns who had entertained a vague Republican sympathies suddenly felt compelled to align themselves publicly with the new rebel authorities in order to e protect their families, even if this sometimes meant betraying o friendships and personal allegiances. The film Butterfly's Tongue (La Lengua de las Mariposas) (1999), based on a short story by the Galician writer Manuel Rivas, recounts a deadly example of this phenomenon. A young boy is required by his mother to participate in the public humiliation and detention of his beloved Republican schoolmaster in order to distract attention from his own father's freethinking past. So we see the complex and contradictory motives that so often lay behind the apparently binary choices made by people in the wake of the rebellion. Indeed, this enforced reductiveness, the obligation to 'take sides', constitutes the coup's first, and most enduring, act of violence. In order to make their coup viable, the military rebels also had to remove, and frequently to kill, a significant number of senior army officers who refused to support them. In part because of this the rebels too faced a certain degree of military dislocation - a shattered army cut both ways. Nor could the lack of an integrated fighting force be compensated for by the right-wing political militias of Carlists and Falangists rapidly mobilizing in rebel territory. The division of Spain resulting from the botched coup initially appeared to favour the Republic. It held the capital city of Madrid, which lay at the heart of the country's communications network and also contained its gold reserves. With most of the big urban centres, the Republic also had control of industry. For the rebels time was of the essence; unless they could rapidly galvanize and augment their forces, the Republic would likely be able to regroup its own and thus stifle the rebellious garrisons. ^ international intervention first became a factor in the conflict. Facing likely defeat, the military rebels requested and received a planes from Hitler and Mussolini to transport their crack troops, the Foreign Legion and the Army of Africa, across the Straits of Gibraltar to mainland Spain. (The Straits were temporarily blockaded by the Republican navy, which had mutinied against its pro-rebel commanders.) In this first act of international intervention, which also constituted the first airlift of troops in the history of modern warfare, Europe's fascist powers gave the Spanish rebels their army, allowing them to launch a full-scale war against the Republic. Hitler and Mussolini agreed to intervene at the same time, but each made his decision independently. Neither dictator was intending to become embroiled in a long war, rather they were offering planes to achieve what they calculated could be a rapid rebel victory. This would guarantee a friendly Spain and thus serve their strategic interests. Madrid, or Barcelona - this centrifugal explosion was a positive development. For urban and rural workers, and for the poor more generally in Spain, the state still had overwhelmingly negative connotations: military conscription, indirect taxation, and everyday persecution - particularly for the unionized. Thus for many Spanish workers, resistance to the military rebels was initially also directed 'against the state' and was bound up with building a new social and political order, often on radical anti-capitalist economic lines (money was frequently abolished). In urban and rural northeast Spain (Barcelona and Aragon) and in Republican parts of the rural south, industry and agriculture were collectivized, and trade union and party committees organized emergency defence and met the needs of their neighbourhood or village. Nor, outside of the bigger towns and cities, was political sectarianism between organizations of the Left yet that much in evidence. Otherwise it would have been inconceivable that a member of the CNT from a village in Valencia province could in 1936 have named his baby daughter after Stalin. This absence of sectarianism indicates that at the start of the war political organizations of the Left often had only a tenuous organizational presence outside the main urban centres. But even as this changed across the war, the appearance of sectarian divisions was still more frequently about the grafting of new labels onto older local political disputes, or else the result of specific tensions produced by the material difficulties of the war, than it was strictly ideological in origin. The new collective and cooperative structures appearing in the summer of 1936 were, nevertheless, an attempt to resolve the key social and political conflicts of the pre-war Republican period n (1931-6). In the process, the balance of social, economic, and = political power was shifted in many communities. This shift was produced in a rather darker way too by a wave of a violence. The absence of a functioning police force or judiciary in Republican territory in the first weeks after the coup, plus the de facto amnesties that saw gaols empty, made it possible for all manner of personal scores to be settled and acts of outright criminality to be pursued in the guise of revolutionary justice. As the war escalated across its first eight months, some acts of violence in Republican Spain would also be triggered by the terrifying experience of aerial bombardment as well as by rumours of mass shootings and other atrocities in rebel territory. But the acts of violence committed by ordinary people in Republican territory immediately after the military rising had a clearly discernible political dimension. Their actions were triggered by anger at what was seen as the rebels' attempt to put the clock back by force to old regime order. Avenging violence was directed at the sources and bearers of the old power - whether material (by destroying property records and land registries) or human (the assassination or brutalization of priests, civil guards, police, employers, and estate bailiffs). So there was a clear link between post-coup violence and pre-war conflicts: for example, over the blocking of land or labour reform legislation or worker dismissals after the general strikes of1934, or over conflicts (again, concerning the non-implementation of social and labour reforms) in the aftermath of the February 1936 elections. (overwhelmingly male) religious personnel. Priests and monks a were killed because they were seen as representing an oppressive Church historically associated with the rich and powerful whose e ecclesiastical hierarchy had backed the military rebellion. The laity o too were sometimes engulfed by this anticlerical anger. As one oral testimony has recalled, the church singer and the bell-ringer were part of an old world that had to be annihilated. Nor was the paradox of an inherently religious component to anticlerical violence less true in Spain than elsewhere. The act of desecration itself -churches destroyed or turned to profane uses; the remains of religious personnel disinterred - speaks eloquently of the power still invested in religion and the Church by the desecrators themselves. In retrospect, little remains inexplicable about ordinary people's impulse to violence in Republican territory. But the fact of its occurrence seriously damaged the Republic's credibility abroad at precisely the moment when it needed to call on external support to confront the mounting military challenge posed by the rebels. For republican and socialist leaders who had staked the Republic's legitimacy on its defence of constitutional forms and the rule of law, the knowledge that they had been powerless to prevent extra-judicial killing was devastating. (Although there were many instances of individual political leaders intervening to save lives.) It was their determination to end uncontrolled violence that provided a powerful ethical drive to the bid to restore the authority of the central Republican government in the face of coup-induced fragmentation. For their part, the rebels publicly justified their coup as a bid to forestall a violent revolution by the Left. But, again in retrospect, we can see that it was the military rebellion itself that created the conditions for violence on such a scale and not only in Republican £ territory. In the days and weeks after the July coup, public = declarations were made by local civilian elites in the rebel zone -^ whether bosses of the fascist Falange or people associated with the mass Catholic party, CEDA, or monarchist landowners or a businessmen or clerics. These were made independently of each other and of the military authorities, but they were remarkably similar. Their message was that Spain needed to be purged or purified. Sometimes they even spoke of the need for a blood sacrifice. These kinds of sentiments unleashed a savage repression that happened from the outset everywhere in rebel Spain, including in many areas where the military rebels were in control from the start, where there was no armed resistance, no political resistance to speak of either, no 'front', no advancing or retreating troops-in short, where there was no 'war' according to a conventional definition of the term. What there was, however, was a culture war that the perpetrators carried in their heads. The coup had sanctioned its unleashing and thus opened the way to mass murder. The impulse to kill was driven even more clearly than it was in Republican territory by a manichaean mindset historically associated with certain forms of Catholic culture and practice. The perpetrators in the rebel zone would have perceived their own motivations to be completely different from those of the Republican 'enemy'. But the driving force of violence was similarly the annihilation of the other. While in Republican territory the objective for some individuals was millenarian - killing as a means of achieving tabula rasa and with it a brave new world - in rebel areas killing was widely perceived as a cleansing action designed to rid the community of sources of 'pollution' and the dangers they supposed. 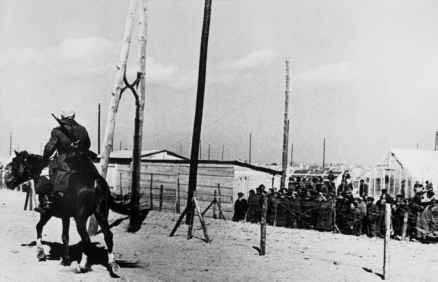 reforms - though urban workers, tenant farmers, and a agricultural labourers were killed in their thousands. It also meant 'cleansing' people who symbolized cultural change and e thus posed a threat to old ways of being and thinking: progressive o teachers, intellectuals, self-educated workers, 'new' women. Rebel violence was targeted against the socially, culturally, and sexually different. 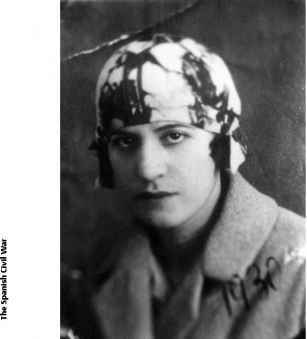 It saw the deaths in Zamora of Amparo Barayón, wife of the Republican novelist Ramón Sender, a woman whose independent spirit was considered a 'sin' against traditional gender norms; in Granada of the poet Federico García Lorca - killed both for his political beliefs and for his sexuality; and of many thousands of less well-known Spaniards, like Pilar Espinosa from Candeleda in Avila, taken away by a Falangist death squad because she read the socialist party newspaper and was known to 'have ideas' (tener ideas), thinking for oneself being considered doubly reprehensible in women. 3. Amparo Barayon, photographed here in the 'flapper' fashion of the 1920s, was a victim of extra-judicial execution in the rebel zone. Franco's forces saw their war as a crusade against social and cultural change. Those who did the killing in rebel Spain during the first months were mainly vigilantes. What occurred was a massacre of civilians by other civilians. Mostly this took the form of death squads abducting people from their homes or else taking them out of prison. In a majority of cases the assassins had close links to rightist political organizations that had backed the coup, in particular the fascist Falange. But the military authorities made no attempt to reign in this terror. In fact the killers were often acting with the connivance of the authorities, otherwise the death squads who came for Amparo Barayon and thousands of her compatriots would never have been able to take their victims out of gaol at will. Republic. Second - although this was not necessarily a conscious intention - a crucial complicity was created between the rebel authorities and those sectors of the population that engaged in or connived at the repression of their friends, neighbours, and family members. This complicity began to lay the foundations, bottom up, of a new rebel state and social order. Also vital to the military's extension of control was the way the repression annihilated 'home' as a safe space. When the coup occurred there was a strong belief among those who felt threatened that if they could get back to their place of origin, their village, their patria chica, there they would be safe from the vicious fall-out of national political divisions. So many of the victims of extra-judicial killing in rebel territory - whether famous or anonymous - died precisely because they went home. Only there they discovered that 'home' no longer existed: the originary violence of the military coup meant precisely that nothing could exist outside the brutal political binary it had imposed. The nature of the rebels' project became absolutely clear once the Army of Africa landed in the south of mainland Spain at the end of July 1936. The Army of Africa was composed of the professional soldiers of the Foreign Legion plus a fighting force of Moroccan mercenaries commanded by Spanish career officers (Africanistas), and was headed by General Francisco Franco. Workers and other civilian defenders had no adequate means of resisting it. During August and September 1936, Franco's forces swept up through southern Spain en route for the central capital city of Madrid. In its wake the repression escalated as the Army strategically butchered £ and terrorized the pro-Republican population, especially the rural = landless. For this initial phase of the Civil War in the south was also part of the 'solution' to pre-war conflicts. It was a war of agrarian counter-reform that turned Andalusia and Extremadura into killing a fields. The large landowners who owned the vast estates which covered most of the southern half of Spain rode along with the Army of Africa to reclaim by force of arms the land on which the Republic had settled the landless poor. Rural labourers were killed where they stood, the 'joke' being they had got their 'land reform' at last - in the form of a burial plot. North Africa, making his military career there in the brutal colonial war. Long before the Italians in Ethiopia (if not before the British in Mesopotamia), Spain had used poisonous gas, of German manufacture, against its colonial population in Morocco. Franco's frequent requests to Italy for chemical weapons in the course of 1936 and 1937, even if strategic considerations eventually precluded their use, reflected his earlier experiences in North Africa. ideas and forms of social organization that threatened the 'Spain' of i o unity, hierarchy, and cultural homogeneity in which they believed a and which they saw it as their duty to defend. On 27 July, Franco was interviewed by the North American journalist Jay Allen, whose e report three weeks later on the massacre of Republican defenders in o the southern town of Badajoz would catapult the Spanish war into newspaper headlines throughout Europe and America. In the July interview Franco brushed aside the reporter's questions about the high level of resistance the rebels had encountered, declaring 'I will save Spain from Marxism whatever the cost'. To Allen's quizzical 'And if that means shooting half of Spain? ', Franco replied 'As I said, whatever the cost'. The rebels' contempt for constitutional politics, their preparedness to use mass executions and terror throughout the war meant that they, unlike the Republicans, never faced the dilemma of how to deal with the 'enemy within'. In spite of this the military rebels received very little bad press in the mainstream media beyond Spain. Among the reasons for this was one immensely powerful one: the legitimation of the coup provided by the Catholic Church.
"" 1936] women of Castile received from African hands a bread as white as Communion bread ... [the war] was a Mudejar enterprise against the Asiatic hordes. The question of race and racism here would, however, remain below the political surface for the duration of the war. The Spanish Left had never developed an anticolonialist discourse. Its opposition to the war in North Africa had always been based on a defence of Spanish workers' rights (as the soldiers who died in these campaigns) rather than on the wrongs of colonization. Indeed, Republican attitudes to Franco's North African soldiers, whom they understandably feared, were scarcely less racist than those of the rebels themselves. Nor during the Civil War was the Republic ever able successfully to elaborate a strategic anticolonialism. Some expression of political sympathy for embryonic Moroccan nationalism might potentially have helped to choke Franco's supply of troops. But no such initiative was seriously contemplated for fear of upsetting Britain and France, as senior colonial powers on whose support the Spanish Republicans were pinning their hopes -especially once the scale of German and Italian fascist aid to the rebels had become evident.